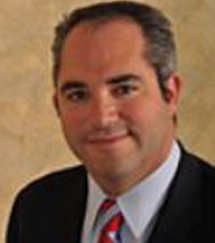 Michael A. London is one of the founding partners in the law firm of Douglas & London. Mr. London was born in New York, New York. He obtained a Bachelor of Arts Degree from the University of Miami, in Coral Gables, Florida, and a Juris Doctorate Degree from Brooklyn Law School in New York. Mr. London is admitted and licensed to practice law in the State of New York and the State of New Jersey, as well as in the United States District Courts for the Eastern District, Southern District, and Western District of New York, as well as the District of New Jersey. He is also admitted to practice in the Court of Federal Claims in Washington, D.C. Since obtaining his law degree, he has devoted his entire career to always representing injury victims and consumers, primarily in mass tort settings. Formerly a partner at another national plaintiffs’ law firm, his practice area in the law has always focused on, and continues to focus on, products liability and complex litigation with an emphasis in pharmaceutical litigation. Mr. London is well known in the products liability and pharmaceutical and medical device areas of the law as one of the nations most skilled attorneys. The firm’s verdicts and settlements are just one measure of the success. Another measure is that he has been appointed by numerous judges across the country to serve on various steering committees in some of the country’s largest civil cases over the past 15 years. In addition to the above, Mr. London has extensive experience with heart device litigation where he haw represented hundreds of injured clients across the country in the recent implantable defibrillator litigations (e.g. Guidant implantable defibrillators, Medtronic implantable defibrillators, and Medtronic Sprint Fidelis Leads, MDL-1708, MDL-1726, and MDL-1905, respectively). He and his firm also represented over 500 people who were injured by the Cox-2 inhibitor medications Vioxx, Bextra, and Celebrex. Mr. London has served as trial counsel in multiple tobacco trials, including the first successful verdict against the tobacco industry in the state of New York, when he and Firm partner Gary Douglas secured a $20 million plus verdict for the widow of a former smoker. Mr. London previously served as co-trial counsel in the first two tobacco cases to be tried in the State of New York – both in the year 2000. Mr. London has also been actively involved in prosecution and appellate issues in personal injury tobacco litigation across the country, including in San Francisco, Missouri, and Florida. Mr. London was co-trial counsel in the very first Norplant products liability trial in the State of New York – and shortly after the verdict in his trial, a national settlement of over $40 million was reached. Mr. London is an active member in the following legal associations: Board of Directors New York State Trial Lawyers Association (NYSTLA); Sustaining Member American Association of Justice (AAJ), f/k/a ATLA; Member of Public Justice (America’s Public Interest law firm); and Member the Tobacco Trial Lawyers Association (TTLA). He serves on the President’s Advisory Council at Brooklyn Law School and has been asked to serves as on the University of Miami Dean of Arts & Sciences Visiting Committee. He has been asked and invited to lecture to attorneys on many types of cases that he has handled, as well as on specific topics such as preemption, virtually all aspects of mass tort litigations and specific cases, medical malpractice and jury selection in various types of cases. He has appeared on CNN, MSNBC, NBC, ABC, in the New York Times, in New York Magazine, Forbes, as well as in many other local New York and regional papers and other publications across the country. Additionally, he has written numerous articles for publication in legal journals on such topics of vaccine use, the Learned Intermediary Doctrine, the Harvard University Medical Malpractice Study, jury selection in products liability cases, mercury exposure, youth smoking, and light cigarettes litigation, generally.